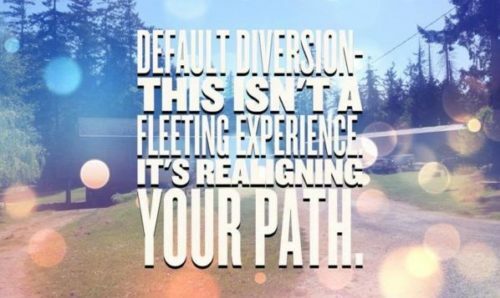 Step into Default Diversion: a diversion from the default world when you return from the dust, or something to ease those playa cramps for those of us not lucky enough to go. This event is primarily outdoors, you are invited to dance and play under the sparkly lights of Central Saanich in your Burner finest – rain or shine! Yes, the site is outside the downtown core. It’s a 20min drive away, but to ease the pain we secured some block bookings with nearby motels. If your the energetic type the site is on the Lochside Trail for you to wobble back to Victoria via your playa bike. If you’re from across the pond it will be a 15min drive from Swartz Bay! We would like to thank you in advance for supporting the KindleArts 2016 fall event, Default Diversion! When you purchase your ticket online you will be given an opportunity to support this event by lending your time as a volunteer. We welcome workshops, performers, event support, displays of art, and much more! All KindleArts event are 100% participant driven. When you register to attend, please choose one of the volunteer options! Remember your strengths and show them off to the community through volunteering! Contribute a workshop to Default Diversion! Contact the KindleArts Academy (academy@kindlearts.ca) and help to provide some interesting daytime activities! Live Music Stage: Register to perform at the live music stage by registering your attendance to Default Diversion! When you get your ticket, there’s a place on the form to request a performance slot! And don’t forget, you can also do a random performance anywhere you like. Electronic Music Stage: Same as above – register to play electronic music by registering your attendance and requesting a performance slot right when you buy your ticket! Theme Tents: Community members will be invited to bring theme tents! Bring your favourite theme camp to Default Diversion by signing up here! Participation Grants: There will be financial support for theme camps who apply for Participation Grants. More details to come! Bar: Like all KindleArts events it is a fundraiser to support the society’s art support efforts. To that end there will be a bar serving alcohol. 19+ event: Sorry parents and minors – this is a 19 and older event. Every KindleArts event is a temporary art gallery that we create together by sharing our art. Please bring art: fire art, interactive art, sculpture, painting, art cars, and more! Bring existing art or apply for a grant to support your project! Art Placement: If you intend on bringing art larger than 2feet by 2 feet, or any fire art, please apply for arts placement by signing up here! Art grants: Every 4 months, KindleArts offers grants to artists who intend on bringing art to one of our events. Request a quarterly art grants via the form in the art grants program. Photo ID. When you register to attend Default Diversion, you must register with your legal name matching your photo id. Your photo id is your ticket! You will also need your ID to prove you are 19+ if you’d like to buy drinks at the cash bar. Warm costumes! Default Diversion is hosted outside rain or shine, there will be event tents but it will be chilly! It is fun to wear costumes, but please remember to dress warmly. Safe transportation. Bus service will end before Default Diversion, so you need to arrange a designated driver! Transport is your responsibility! There will be no shuttle bus. Have a ride to Default Diversion? Need a ride to Default Diversion? Check the Facebook event page for rideshare options. Heritage Acres is a new venue for Kindle Arts events and we want to leave a good impression. There are houses nearby. Please leave as quietly at as possible. You are part of the clean-up crew from the moment you arrive till the moment you leave the event. Please pick up any trash, paper, cups and parts of costumes lost throughout the event. Properly sort trash into the recycling bins/ lost & found during the event. Please pick up all cigarette butts too!! Nobody wants a huge clean up the morning after the night before so the more we do during the event the better the hangovers will be! If you’re an early riser, return bright and early Sunday morning to help us leave Heritage Acres cleaner than we found it! We have located 3 hotels close to the venue, they are approximately a 20min walk along the Lochside Trail. These hotels know about the event, and please mention Default Diversion upon booking!